Day 1  International flight to La Paz, Bolivia. Day 2  Arrive in La Paz. You will be met by our staff and transferred to a first-class hotel. La Paz is located at more than 12,000ft/3,650m above sea level, so we will spend two nights here to acclimatize. Your flight will likely arrive in the morning and you will have the day to relax, explore the city and get used to the altitude. Your guide will meet you at your hotel for gear check and briefing. 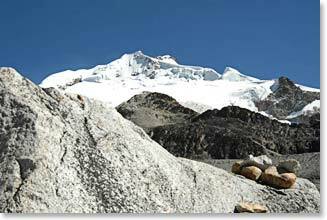 Day 3  Acclimatization hike around Chacaltaya, a mountain with an elevation of 17,785ft/5,421 meters. Until recent years, Chacaltaya's glacier was home to Bolivia’s only ski resort, the highest in the world. In 2009, the last of the glacier disappeared, but the area still serves as a beautiful place to hike and acclimatize. 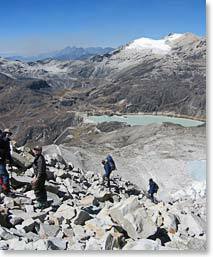 Day 4  We will depart early in the morning for Huyana Potosi where we will spend the next five nights, training, learning new skills and, weather permitting, summiting Huyana Potosi. 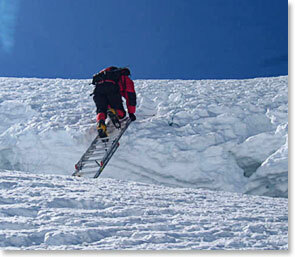 Day 5  Today we will practice walking with crampons on snow, learn proper uses of the ice axe including self-arrest techniques, use snow anchors, and other related subjects. 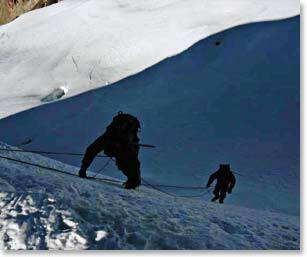 We will also practice ice climbing. Day 6  Most of our time today will be spent on the glacier practicing glacier travel techniques and learning basic crevasse rescue. Day 7  The morning will be open for strengthening skills and gaining confidence. We will go to bed early and get ready for our alpine start when we will climb Huyana Potosi applying the skills we have learned over the past few days. In additions, we will discuss route finding and safe climbing skills. Day 8  Summit day, weather permitting. Day 9  We will drive back to La Paz for the night. 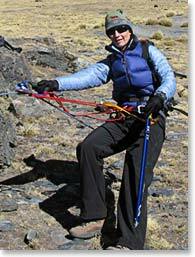 Those joining our Condoriri-Sajama program will return to La Paz and join the climbing team. Day 10  Return flights home or continue on to Condoriri Range. BAI TRIP ENDS.